and other tales of my loves and my many Sanchoesque endeavors. I was literally holding myself back trying not to laugh as I was watching this. I couldn't help it, it's too funny!!! My co-workers are awesome! 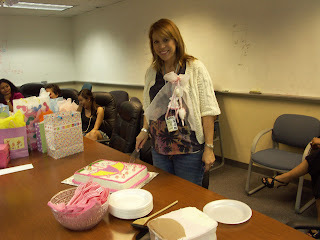 They threw me a Baby Shower today and it was too cute! We had yummy pineapple cake and ice cream. What more could a pregnant lady ask for? 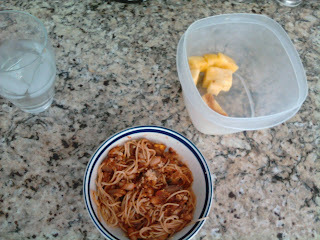 I just had a bowl of leftover whole-wheat spaghetti & veggie tomato sauce. The pineapple was really good too! I'm Loosing My Mind - or Just My Purse! Planning Ahead - What a thought? Attack of the Cherry Twizzlers!!! The Coffee Never Kicked In Today! Look at That Cute Abacus face!!! Steel Cut Oats Are Out to Get Me!!! My Bad Hair Day Continues! My Tootsies (and everything else) Hurt!!! Breakfast for Dinner, Love it! Are looks this important at work? I thought oats were my friends! Blame It On the Breakfast Burritos! The Sugar vs. My Allergies! 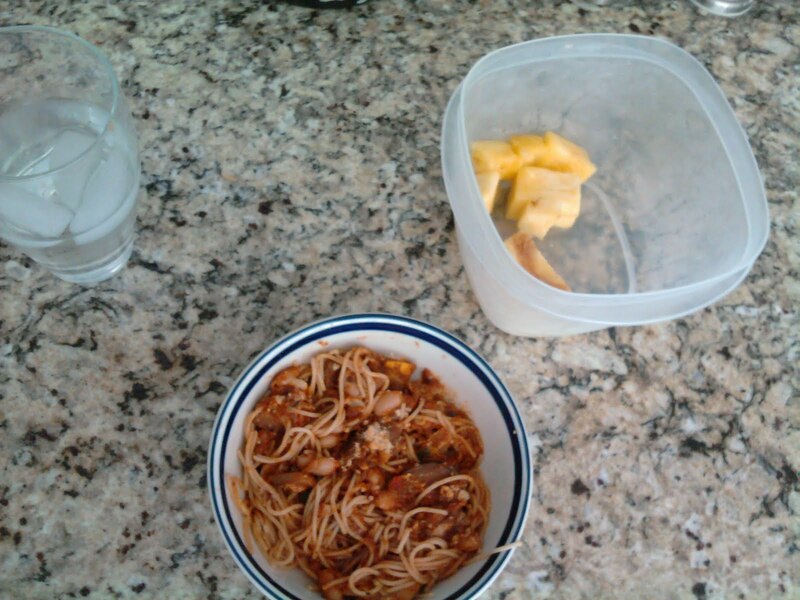 My First Food Diary Day, yay!